Vet and Tena were married in 1911. In 1914 they started Shooks Farm and continued to operate it until two of their sons Marv and Versal purchased the farm in 1952 . Versal & Chris were married in January of 1946. They raised three children Calvin, Cindy and Bryan. When they retired from farming, Vers and Chris enjoyed spending time between Texas in the winter and working on the farm in the summer. Chris passed away in May 2000 and Vers passed away in March 2005. 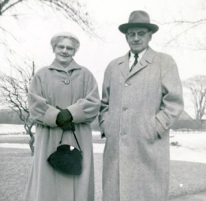 Marvin & Doris were married in May of 1946. They raised four children, Rhonda, Dale, Daryl and Joel. during his retirement Marv enjoyed gardening and spending winters in Arizona. Marv passed away in 1999. Doris continues to spend her winters in Arizona but enjoys being home on the farm in the summers during harvest. 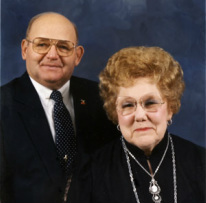 Dale & Darla were part of the third generation of Shooks Farms. They raised four children Eric, RJ, Jon and Marlee. Dale took much pride in farming and especially enjoyed planting corn and raising cattle. Dale passed away in 2005. Darla continues to help out on the farm during the Cherry harvest season.